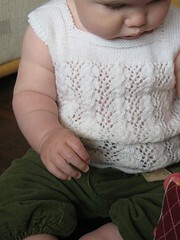 The vintage singlet Mum so expertly made finally fits properly. 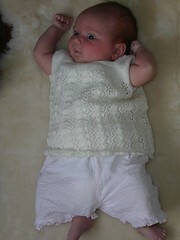 She used a vintage pattern and Patons Dreamtime 100% 4 ply wool in white. I think she made one six like this for me as a babe. It’s hard to believe that Coco was this small and that time has gone so incredibly quickly!